The Civil War uniform for both Northern troops and Southern troops was one of the most basic and important things a solider could have. Uniforms were more than just clothes to wear. They showed your friends and enemies alike what side you were on, they showed what branch of service you were in Infantry, Cavalry or Artillery. The United States controlled the factories and had massive industrial capacity which was able to produce high quality wool uniforms for all of their troops. United States troops looked like soldiers, they all looked the same and were outfitted very well. One of the most recognizable Union uniforms were worn by the Zouaves. Their uniforms consisted of a red cap and bright red pants. Along with the Civil War uniform, Union soldiers wore a belt which held a cap box, cartridge box, bayonet with scabbard, canteen, and a blanket roll which contained a wool blanket, a shelter half and a rubber blanket and poncho. The Confederacy was not an industrial powerhouse, they did not have many manufacturing plants that could easily create thousands of uniforms. The south was primarily an agricultural society. They had plenty of cotton for uniforms, they were also made of wool and jean but they didn’t have the means of producing proper uniforms in large quantities like the Union did. The Confederate uniform was usually a hodgepodge and often the soldiers looked very different from each other. Ideally Confederate uniforms would look like Union uniforms just in a different color. In reality the common soldiers of the south had poor quality uniforms that were inferior to their Union counterparts. Officers uniforms were generally of much higher quality than the typical infantry soldier. Confederate soldiers typically did not carry a knapsack, they fit everything they could into their haversacks, knapsacks were far too large and cumbersome to carry on a long march. They did not carry cap boxes and cartridge boxes opting instead to use their pockets to hold their caps and cartridges. Many of them also threw away their canteens in favor of a tin cup, which was smaller, could be used to boil water and was more convenient than lugging around a canteen. Confederate soldiers traveled much lighter than their Northern counterparts. This made marching and fighting much easier but it came at a cost. Rebel soldiers would often have to capture Union provisions, clothing and weapons in order to sustain themselves. As the war progressed it became increasingly more difficult for the Confederacy to produce and supply uniforms to their men. Southern uniforms during the Civil War were usually dyed to make them gray or sometimes brown, this was done to at least try to give uniformity throughout the army. Union soldiers often referred to confederate soldiers as Butternuts or gray jackets because of the grayish brown color of their uniforms. Southern soldiers also wore short jackets and vests as well as shirts and underwear that were usually mailed to them from home. Shoes were also a major problem for the Rebel army. They didn’t have enough of them and the ones they did have were of very poor quality. A soldiers haversack or knapsack if he carried one held their rations, an extra pair of socks, writing paper, stamps and envelopes, ink and pen, razor, toothbrush, comb and any other items that each individual soldier decided to keep with them. Civil War Uniforms identified individual soldiers and the units they belonged to. Identification included buttons, colors, and rank markings. 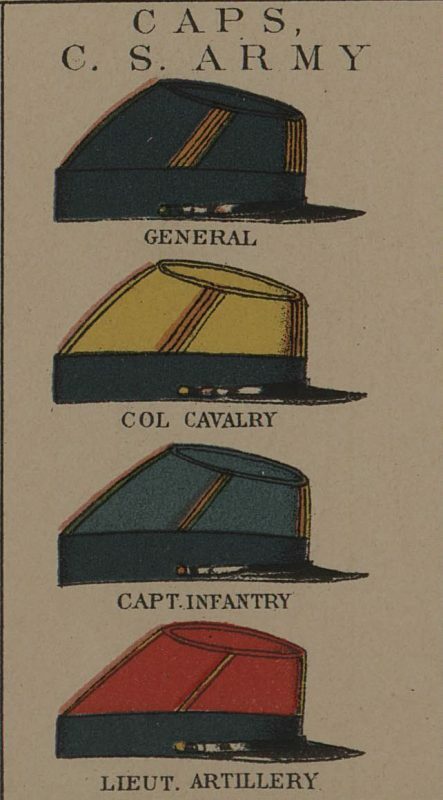 Confederate Soldiers were also identified by the color of the hat they wore. Early war kepis in the south used solid colors. These were later changed to a thin band with the color of the branch wrapped around the base of the cap to identify the area of service.All uniforms regardless of being Union or Confederate had prominent markings on them which identified whether a soldier was an enlisted man or an officer. Confederate and Union soldier ranks were identified with chevrons. 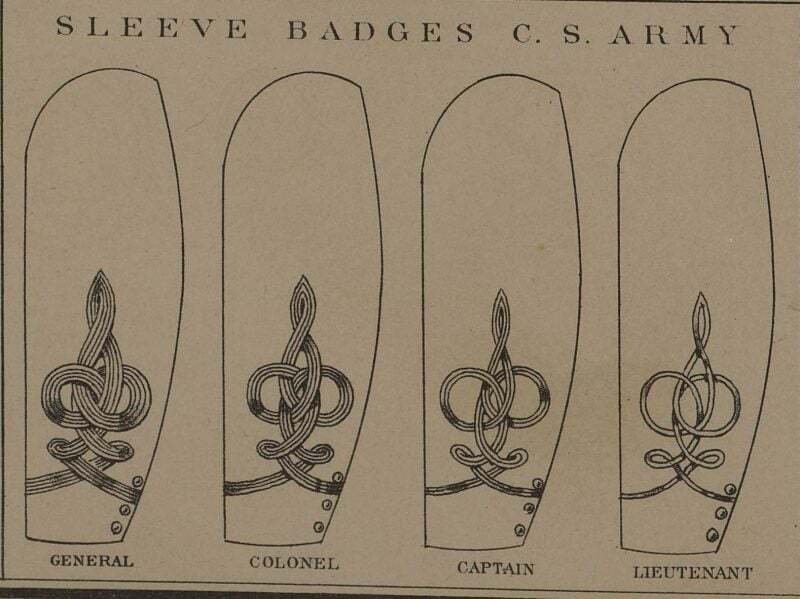 Union officers were identified by epaulets and shoulder straps. 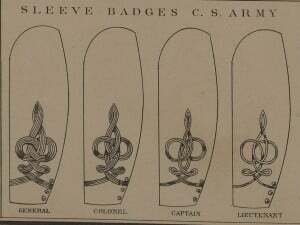 The Confederate army identified their officers with collar badges and sleeve badges. Did the Confederates Attack Gettysburg to Capture Shoes? The Confederate army was always in dire need of new shoes. They wore out quickly and they couldn’t produce enough to keep up with demand. If they could capture them they did. There has been a persistent myth about why General Robert E. Lee decided to attack Gettysburg Pennsylvania. The myth says that he chose Gettysburg because it was believed there was a large number of shoes located in the town. This was not the case, there were no shoes in any quantity in Gettysburg that would have supplied the Army of Northern Virginia. The reason this myth occurred was because on June 30th 1863 Confederate General Henry Heth ordered General Pettigrew to go to Gettysburg and search for army supplies (shoes especially). This order from General Heth is what started the myth about shoes at Gettysburg. 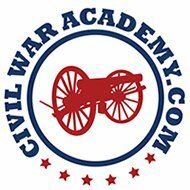 The problem with the theory is that Confederate General Jubal Early and his men were actually in Gettysburg four days earlier on June 26th 1863. General Early demanded that the authorities hand over supplies. The authorities of Gettysburg claimed that they had very few supplies to give them. The Confederates then searched the town for anything of value before deciding there was not much to take. If there was a large quantity of shoes in Gettysburg and there was a Confederate mission to find a large quantity of shoes, General Early would have certainly informed General Heth if he had found or captured a large stash of shoes. Two days later on June 28th General Early and his men entered the town of York, Pennsylvania. Again they demanded supplies. This time however, they received from the authorities between 1,200 – 1,500 pairs of shoes, 1,000 hats, 1,000 pairs of socks, and $28,600. If Gettysburg had shoes General Early would have known about it.